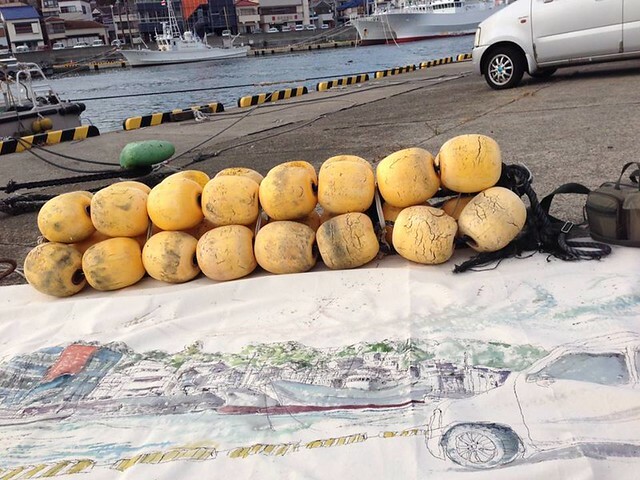 In October I went to Misaki fishing port, Kanagawa prefecture to sketch the view on the big cloth ( 1.25 X 3 meter). I applied newly learnt Kiah Kiean's Chinese ink method with watercolor wash. 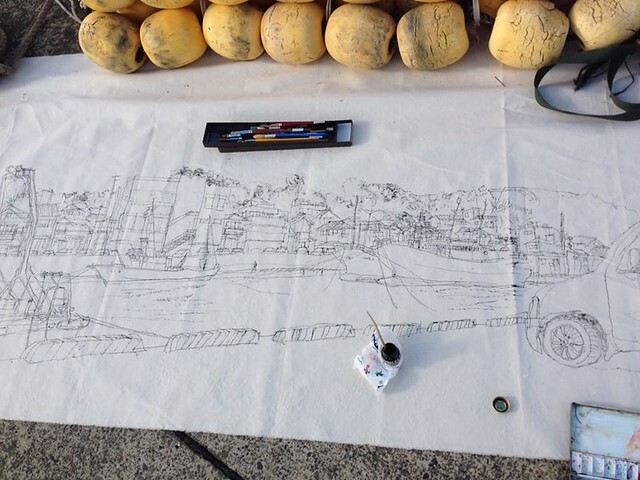 It was a bit windy day and I had to keep unfolding flipped edge time to time while drawing. It was an experimental attempt, I understand later that the cloth should have been washed before to be drawn ( It wasn't watercolor friendly state..) Anyway I enjoyed all the inconvenience and experience like playing a new game. The resulted work was too big to display in the house, so until recently I exhibit it in the gallery with some artists who also live in Kanagawa prefecture, I haven't been able to observe the whole look of it. Half done with Chinese ink. The displayed view in the gallery.